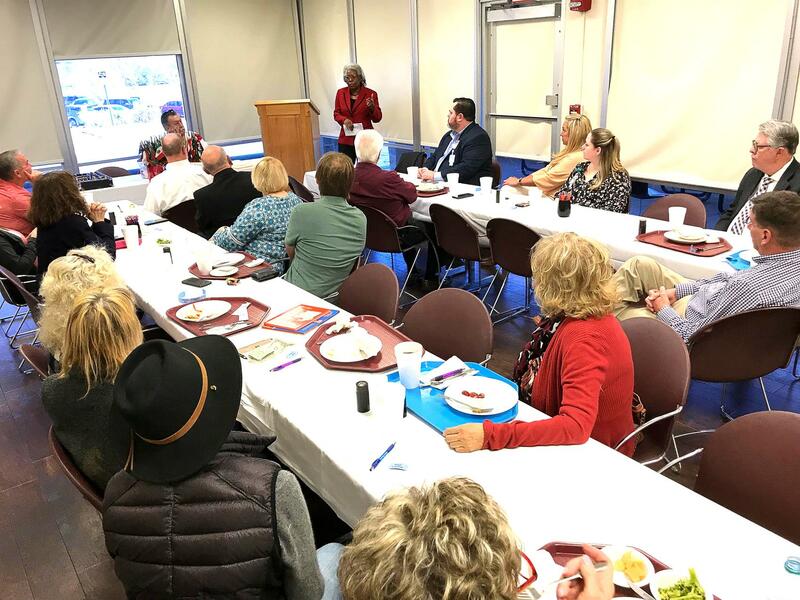 Rotary Club of Mineral Wells was proud to have interim City Manager Margie Rose speak at last Wednesday's weekly meeting, the club's first at its new home in the meeting room at Palo Pinto General Hospital. Club members enjoyed the delicious lunch offerings in the hospital cafeteria and PPGH staff ensured the meeting room was ready and accommodating. Rotary Club appreciates PPGH welcoming us to the hospital for our weekly Wednesday meetings. Rose told club members Mineral Wells citizens have much to be excited about with so many projects and positive things happening in the city, including downtown redevelopment and those plans going forward. She said her role as interim city manager – Rose did not seek the position permanently – is to ensure the city operates smoothly and properly until a new city manager is in place, and to help with that transition just as retired City Manager Lance Howerton helped transition Rose into the interim position before he stepped down at the end of last year after 25 years of service. Rose said she especially wants to make sure the bond projects under construction and scheduled stay on track. She said an area of concern she has seen in her time as interim city manager is in the city's inspections department, concern from a customer service aspect and concern simply with the demands put on the inspections as the city and those responsibilities grow. After serving 16 years with the City of Corpus Christi – 14 as deputy city manager, assistant city manager and the last two as city manager – Rose accepted a position as senior vice president for executive recruitment for Strategic Government Resources, the Keller-based firm engaged by Mineral Wells City Council to help conduct the search for a new city manager. SGR brought 41 candidates to council for consideration and council recently narrowed that field down to five finalists. An announcement is expected soon on who will become the city's next top administrator. Rose has 33 years county and municipal government experience. She previously served as City Manager of Inkster, Michigan. 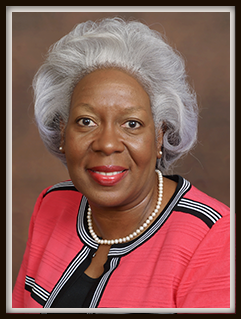 She served in various director and interim director positions throughout her Municipal Government career. She also held an Executive position with the County of Wayne, Michigan. She received her Bachelor of Business Administration Degree and Master’s of Public Administration Degree from Eastern Michigan University, Ypsilanti, Michigan. 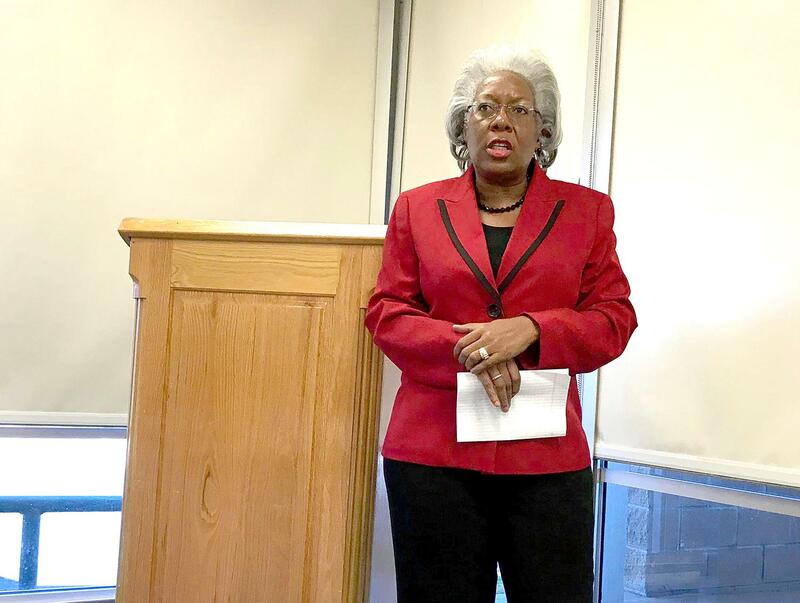 Rotary Club of Mineral Wells thanks Rose – a former Rotarian herself – for taking some time out of her schedule to visit with and speak to the club. We thank her for her service and leadership in this interim leadership phase. Rotary Club of Mineral Wells meets every Wednesday at noon at Palo Pinto General Hospital for lunch, socializing and networking, updates on club news and events and a program of interest. Meetings are for members, invited guests and prospective members.